Five years after some of the most energetic series of storms ever to hit Europe’s Atlantic coastline, many beaches across the South West of England have still not fully recovered. 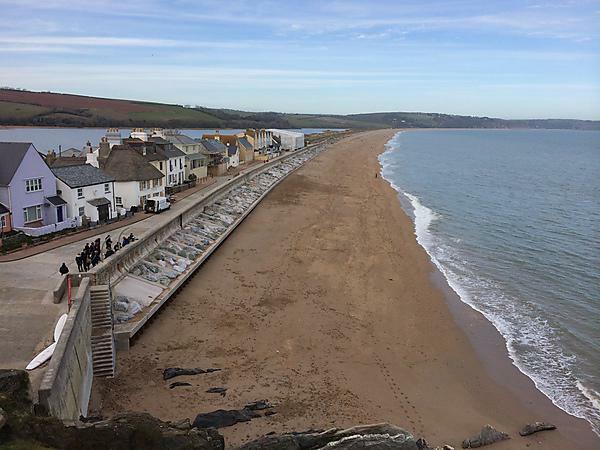 New research involving the University of Plymouth shows that many beaches on the north coast of Cornwall and Devon have only recovered to around 75% of their previous states. However, a large amount of the sediment that was eroded and taken offshore by the repeated storms during the winter of 2013/14 remains stored offshore below low tide level. In a study accepted for publication in Earth Surface Processes and Landforms, scientists say it could take several calm winters before the coastline fully recovers, particularly when it comes to eroded dunes, which have seen hardly any recovery with distinct erosion scarps still common on practically all the beaches. By contrast, the situation on the south coast is slightly more positive because the South West storms of 2013/14 pushed sediment along the coast rather than offshore. This caused ‘beach rotation’ within bays, meaning material eroded five years ago has been largely replenished during the ‘Beast from the East’ series of opposing easterly storms which hit the UK in early 2018. The research was led by the French National Centre for Scientific Research (CNRS), and also included scientists from Plymouth, the University of Western Brittany, the University of Bordeaux and Ulster University. It builds on previous studies by the same scientists which have shown the winter storms of 2013/14 were the most energetic to hit the Atlantic coast of western Europe since records began in 1948. They have also demonstrated that Atlantic storm wave conditions are strongly controlled by two climate indices: the North Atlantic Oscillation (NAO), which has long been known to affect climate variability in the Northern Hemisphere, and the West Europe Pressure Anomaly (WEPA), which is more relevant for the coastlines of UK, France and Spain and Portugal. And they demonstrated that the pressure gradient along the Atlantic coast of Europe, quantified by these two climate indices, has intensified over the last 60 years, resulting in a significant upward trend in the winter wave conditions. The full study – Beach recovery from extreme storm activity during the 2013/14 winter along the Atlantic coast of Europe by Castelle, Dodet, Masselink and Scott – has been accepted for publication in Earth Surface Processes and Landforms, doi: 10.1002/esp.4500. This chart shows more than 11 years of monthly beach volumes on Perranporth, North Cornwall, showing beach recovery for the period 2007–13, massive reduction in beach volume during the 2013/14 winter and part recovery of the beach for the period 2014–18.